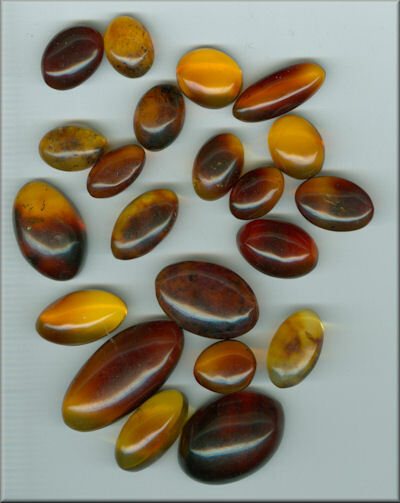 All amber specimens on this page are from the Dominican Republic and about 24 million years old. All are cabs (flat bottom with dome top.) Most of the pieces are cognac in color. 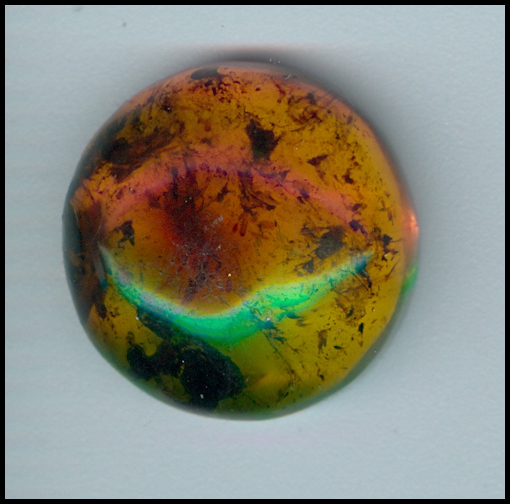 Some of the cab images were taken with a black felt background - I cannot always be sure this shows the real color. 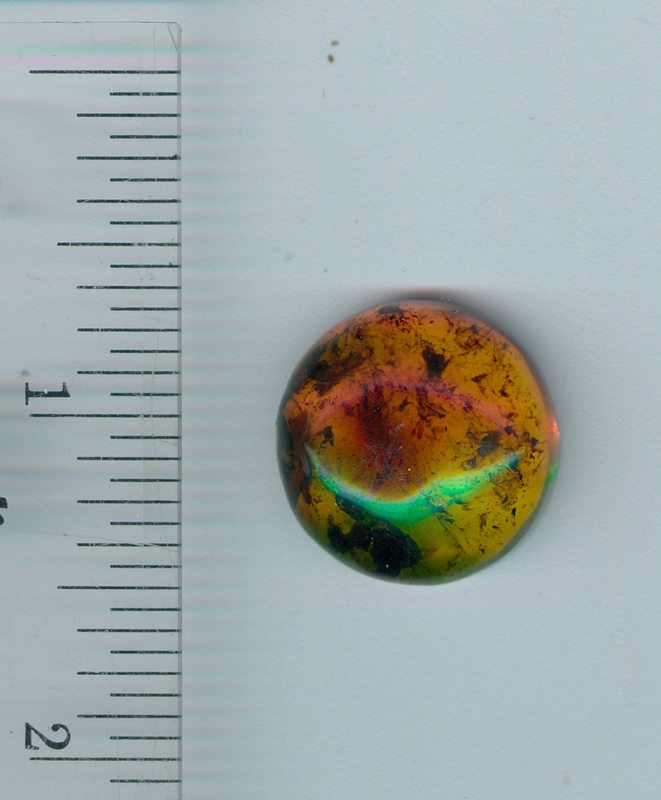 One of the finest pieces of amber available -1st quality. 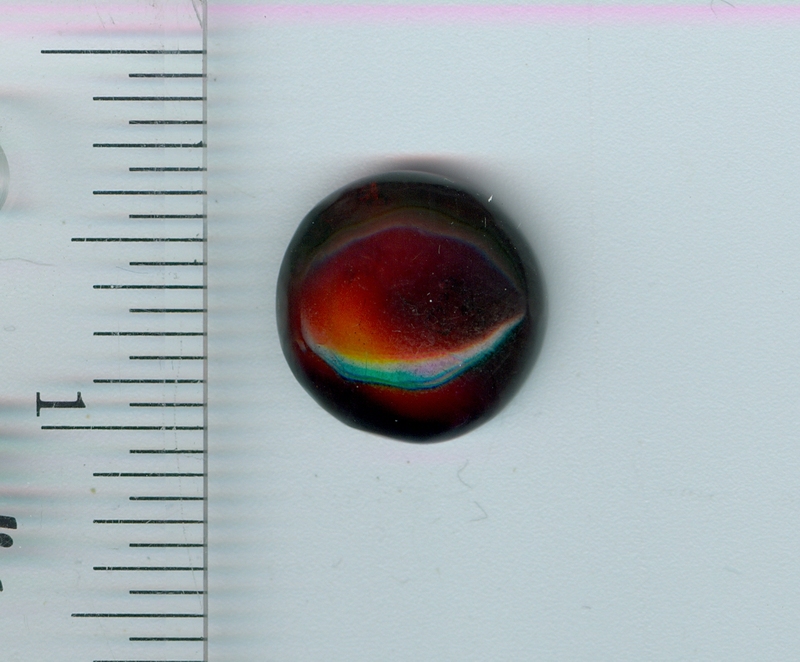 About 1.8 inches x 1.25 x .4 inches. 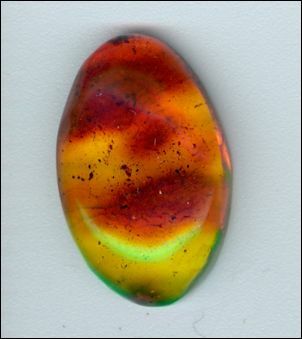 Perfect for someone wrapping a gold band around and making this into a top class pendant. 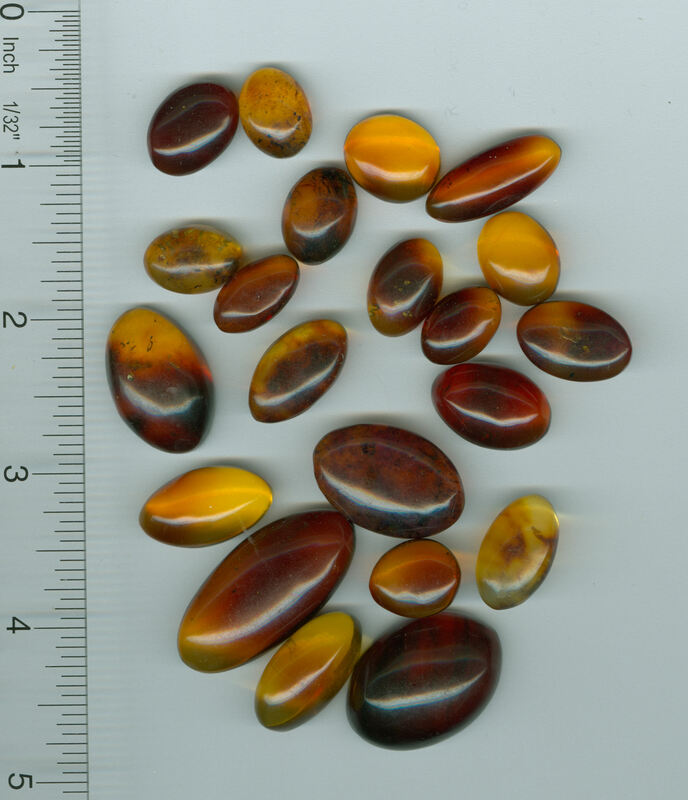 One of the finest pieces of amber available -1st quality. 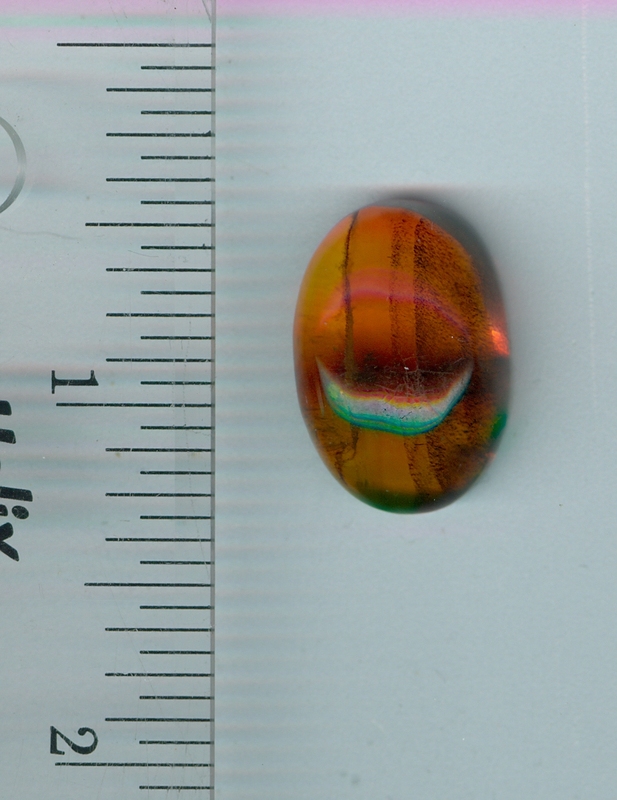 About 1.5 inches x 1. x .4 inches. 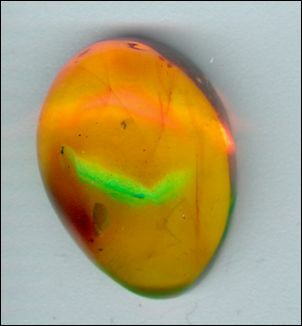 Perfect for someone wrapping a gold band around and making this into a top class pendant. 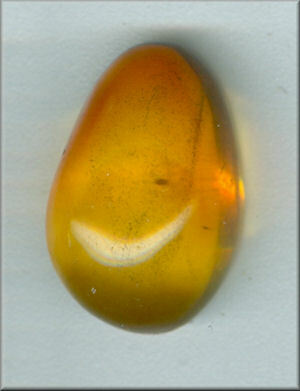 One of the finest pieces of amber available -1st quality. 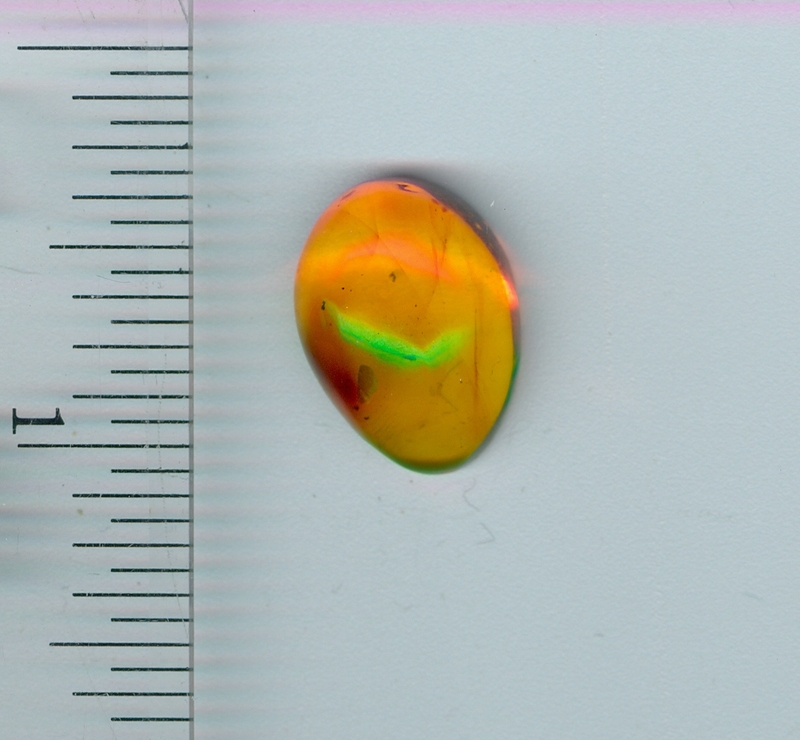 About 2.0 inches x .75 x .4 inches. 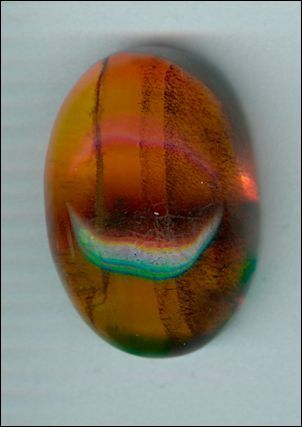 Perfect for someone wrapping a gold band around the top and making this into a top class pendant. Wonder collection of 21 cabs - all various sizes - offered at a price that is hard to beat. About .8 inches in diameter x .25 inches - circular (1/2 circle) - really nice.